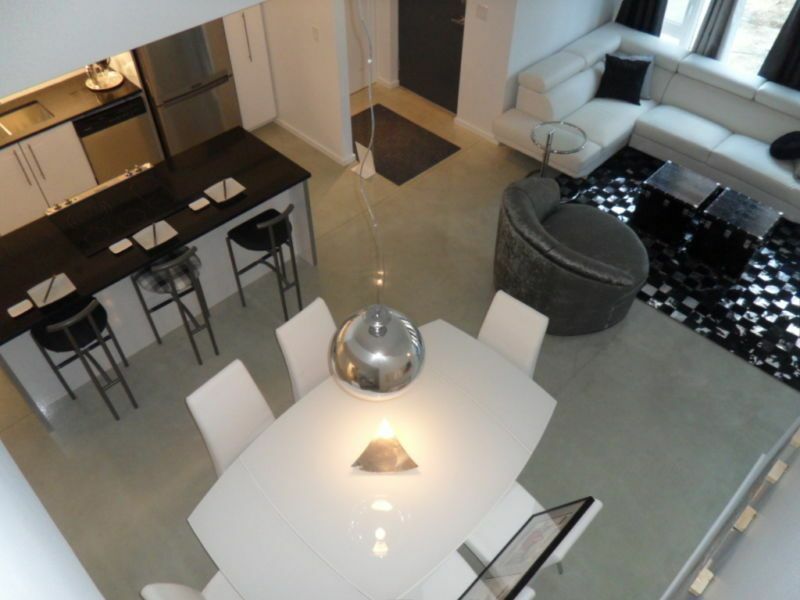 Impressionnant Condo Dans Osborne Village! Meilleur quartier de Winnipeg pour rester. 2 Chambre 2 Salle de bain Style Loft condo neuf dans le meilleur quartier de Winnipeg. Ce condo comprend 2 chambres, une sur le niveau principal avec une salle y compris une laveuse et sécheuse, et le second situé dans le loft avec sa propre salle de bains et l'accès au pont. Le condo est 1180 pieds carrés, avec un salon à aire ouverte, salle à manger et cuisine avec des appareils en acier inoxydable. Cette unité dispose de tout le nécessaire pour cuisiner et recevoir des pots à couverts. Toutes les serviettes et les draps sont fournis. Il est à quelques pas de l'épicerie ou de nombreux restaurants si vous ne faites pas cuire. Il ya 2 salles de bains situé à côté de chaque chambre. La salle de bain principale a un combo douche baignoire tandis que la salle de loft a pas de baignoire, mais une douche. We were astonished when we entered the condo. The pictures online looked nice, but did not do the place justice. We have stayed in VRBO’s all over the world and were truly pleased with the location, modern interior, and the amenitities in the suite. We traveled from California with our 3 small dogs and wanted something that we could easily enter off the street. ,Trevor was a great host, attentive, but overly so. I definitely recommend for the price, location and how lovey the condo space was. The condo is attractive and comfortable. But, it wasn’t all that clean. The floors were dirty, under the sinks was dirty and messy. The rugs need to be replaced (very dirty), as do the linens and towels (all worn out). Something is needed upstairs to put your suitcase on, as there are no tables, suitcase rack, or dresser upstairs. Ok for a kid, but not for adults. We couldn’t find the outside garbage bins. The owner is helpful. I acknowledge that the condo could have been cleaner. I will be getting a new cleaning company and change out the linens. Sorry for the oversight. I stayed here for the first time when I came to move my daughter home from the U, and highly recommend it. - Very convenient to stores, restaurants, and even a martini club. - The kitchen and bathroom has all the amenities you'd need, and the washer and dryer are right next to the bathroom. - It was just me so I didn't stay in the upstairs bedroom. It's a steep climb to the loft, but appeared to be very comfortable. But not a room for young kids because of the stairs. - It has a very convenient convenient garage for your car, which is such a plus because parking seems to be a premium in the area. You do have to go through a maze of doors to get to it, and the trash is in a mystery area, but having a covered parking stall in Winnipeg is huge! - The unit is sparsely decorated with more modern furniture, but that's not necessarily bad. I found it to be very comfortable. - Trevor was very helpful, so the whole business part of the stay was a breeze. I'd definitely stay here again and would definitely recommend it. The suite we stayed in was completely equipped with coffee maker, toaster, dishes, silverware, cookware, and utensils. The owner met us on arrival, and the suite was ideally located within 2 blocks of great restaurants, a grocery store, the liquor mart, and the bus stop. Taxis from here to everywhere we wanted to go were in the $10 to $12 range. It is a safe neighborhood. The suite was attractively decorated and extremely clean and included all the linens and towels we needed. Our host was accommodating and well-informed. I will definitely stay here the next time I travel to Winnipeg. Even today, this listing shows availability for all of August, which it just does not have. Corresponded with the owner and was disappointed to hear that there were only half the nights available that we needed. Suggested he update the calendar. Not done. We would have loved to stay there; great location, lovely space. Very disappointed - especially after reading the other reviews. We stayed here one week and couldn't have picked a better place. The owner accommodated all our needs, the unit was fresh and well furnished. We enjoyed walking throughout the downtown area which was only a few blocks away. We're in total agreement with the previous review for this property. Ce condo est situé dans le meilleur quartier de Winnipeg. La zone Osborne Village est très bien à pied avec de nombreux magasins et restaurants, ainsi qu'une épicerie et liqueur 2 pâtés de maisons. Il est à quelques pas de la zone du centre-ville ou les Forks où le musée droits de l'homme se trouve. As I live in the building, any concerns or questions can be dealt with quickly to ensure that you have a great stay.